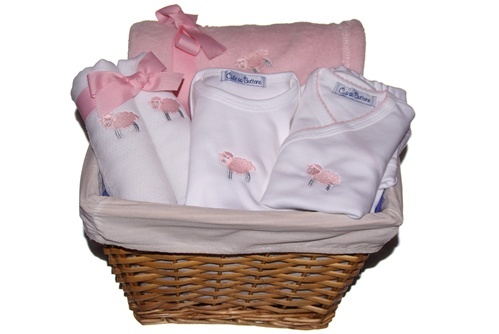 Our Baby Lamb Gift Basket in pink is a sweet way to welcome a new baby girl. 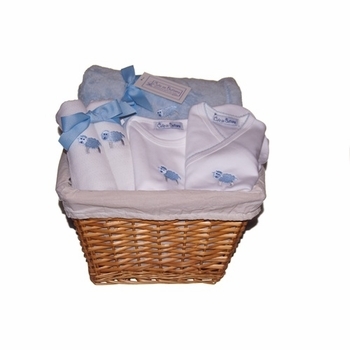 The arrangement includes a popular plush micro fleece blanket, pima cotton tee shirt, 3 piece layette set and set of 2 diaper burp cloths. Everything you need for baby. The set arrives as shown in our great reusable lined basket and wrapped in cello for a perfect presentation! 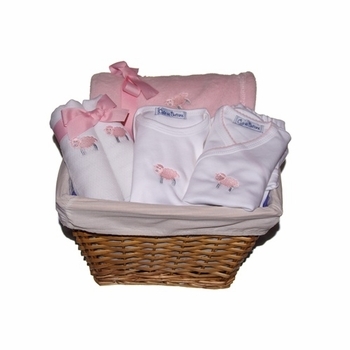 All gift baskets are custom made to order and ship directly from the designer.